Automate Systems Ltd has a wealth of experience in both designing and installing a variety of site traffic management and safety systems across the UK at both large and small factory sites. With the HSE bringing in more and more guidelines about traffic management in the workplace, such as “preventing drivers moving their vehicles to areas where pedestrians or other drivers might not expect them”, traffic management systems are becoming more and more vital to the daily running of your site. Controlling large HGV movement on a busy site, controlling their access to individual loading bays, utilising large VMS (Variable Messaging Signs) to direct the HGV’s to specific loading bays. 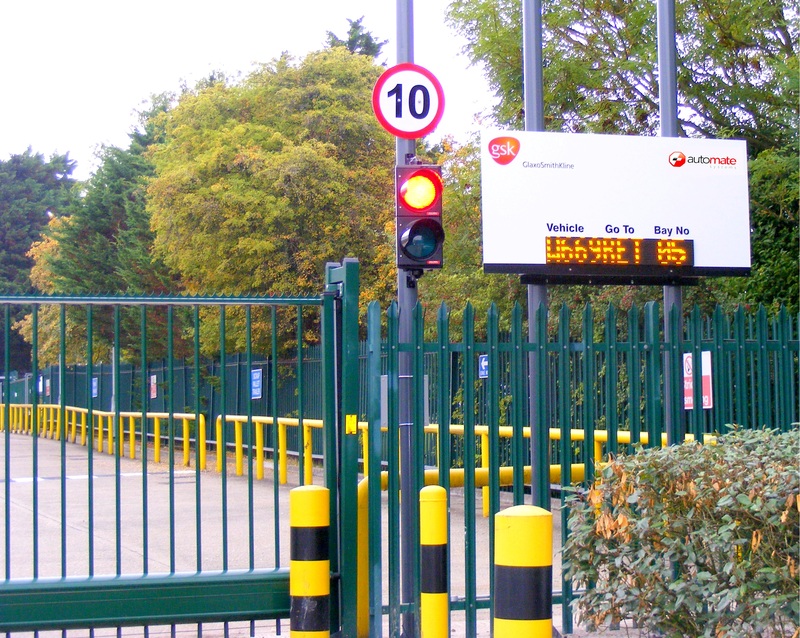 Fork lift crossing systems installed where forklift trucks were operating near pedestrian walkways and were leaving the building onto busy site roads. Multiple traffic light signal heads linking to and being controlled from one central security house. The system was linked to automatic gates and controlled via touch screen. 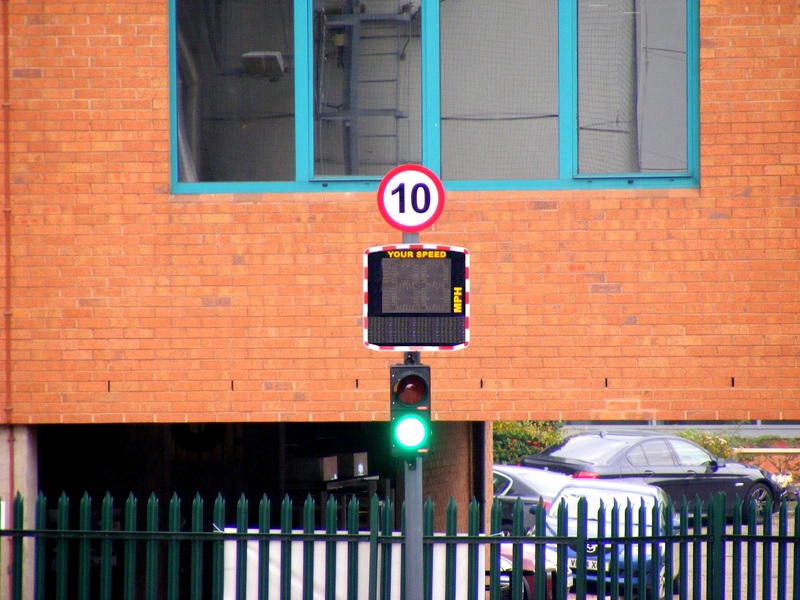 Radar Speed Signs were installed to monitor and maintain the site wide speed limit across a large factory site. These systems can be designed to your specific needs with the software for the traffic light controller purposely written with your site in mind, giving you the added benefits of being able to control and alter any timings within the system. The control methods for site vehicles can be varied from a push button or induction loop in the road, to a vehicle mounted radio transmitter. Twin amber flashing lights are usually a warning sign for a school crossing patrol or where people are working in or close to a roadway. They are also used on automatic machinery such as moving gates or barriers and they can also be used with sounders, so that when a piece of automatic equipment requires attention it can be interfaced with other warning systems. For example, we’ve installed amber warning lights on a boiler system so that when the pressure increased past a certain threshold, both the sounder and the warning light would become active automatically, alerting workers of the problem straight away.